Arrive in Santiago and transfer to your hotel. 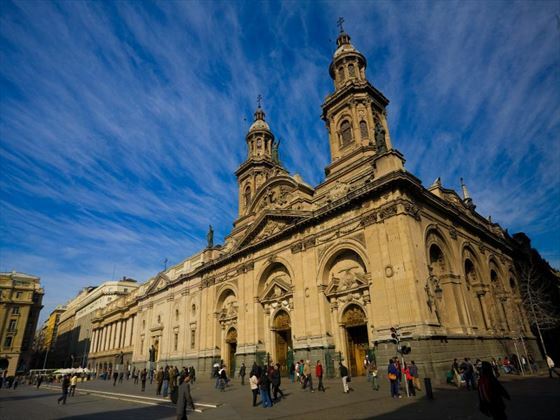 Take a tour of Santiago today and explore the highlights and landmarks of the city, such as the Plaza de Armas. 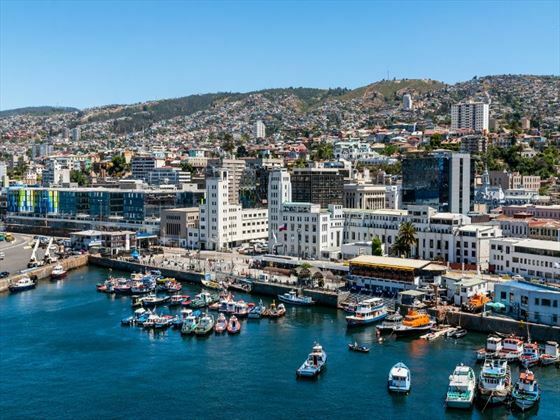 Afterwards, enjoy a wine tasting session on your way to Valparaiso. Upon arrival you can dine on a delicious lunch then embark on a guided tour of the historic centre. Fly to Lima this morning and enjoy a taste of the local fare with a lunch at the Brujas del Cachiche restaurant. Afterwards, take part I a tour of the centre, including the catacombs of the monastery of San Francisco. Fly to Cusco and travel onwards to Chincheros, situated in the Andean highlands, where you’ll be treated to a traditional weaving demonstration. Afterwards, transfer to your hotel which overlooks the Vilcanota River. Begin today with a trip to the market in Pisac to browse the local handicrafts and fabrics on offer. 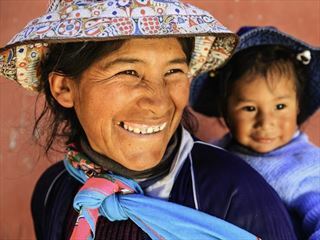 Later, visit a local family for an authentic home-cooked meal that will give you a taste of classic Peruvian cooking. 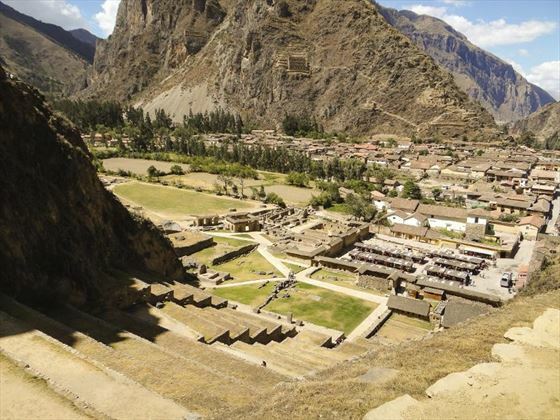 From here, travel to Ollantaytambo to admire the ruins. 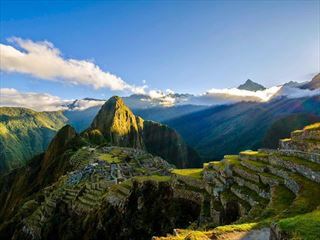 Set aboard PeruRail’s Vistadome train to journey through the charming Andean landscape en-route to Machu Picchu. 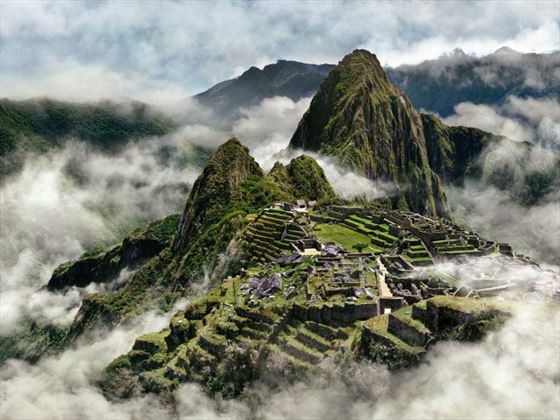 Take a locally guided tour of the Lost City of the Incas and explore the ruins before checking in at your hotel, just a short distance away. 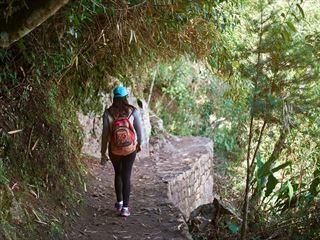 If you want, you can return to Machu Picchu this morning and explore at your own pace, or you can relax at the hotel or explore the town of Aguas Calientes. In the afternoon, board the Vistadome train once more to Cusco. 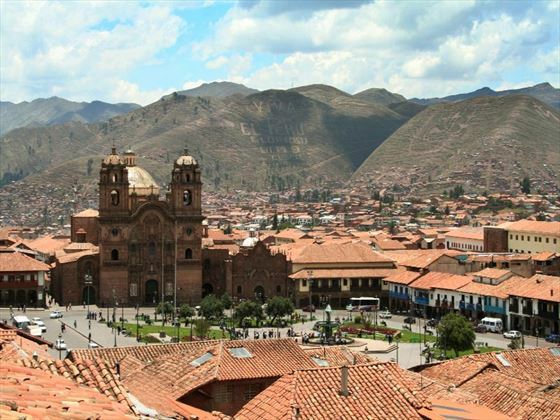 Enjoy a relaxed walking tour this morning and make your way to the Plaza de Armas – the historic heart of Cusco. After visiting some more of the famous sights here, you’ll enjoy lunch at your choice of one of three restaurants. Board a short flight to Puno and check-in at your hotel which overlooks Lake Titicaca. Today you will head to a local school near Puno to meet with the teachers and pupils and interact with them. Afterwards, enjoy a delicious BBQ lunch then take a cruise to the floating islands of Uros. 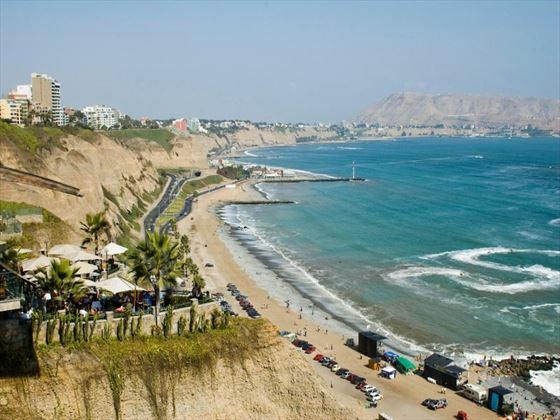 Fly to Lima and, upon arrival, enjoy a tour of the historic centre, taking in the sights and sounds of this area. 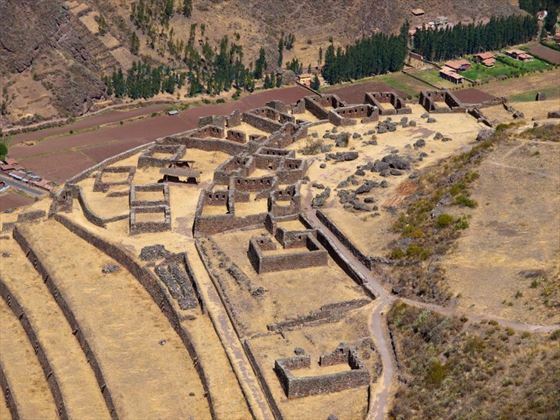 In the evening, head to Huaca Pucllana for your evening meal. Today you will fly to Quito and transfer to your hotel. The remainder of the day can be spent at leisure. 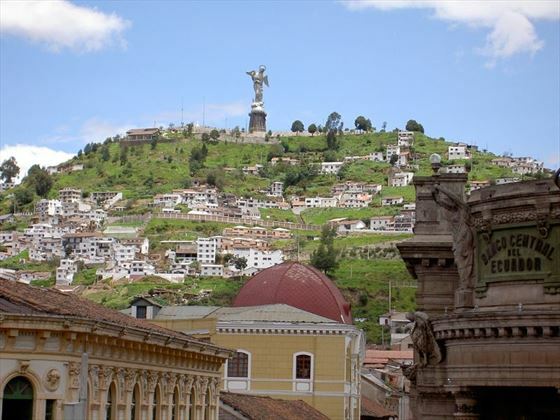 This morning, take a guided tour of Quito and the World Heritage-listed Old Town before heading to Otavalo. While you’re here, you’ll be treated to the many colourful markets and the chance to watch the local people weave. Today you’ll fly to the Galapagos Islands and transfer to your ship, which will be your base for the remainder of the trip. After lunch, visit a giant tortoise reserve in the highlands of Santa Cruz Island before returning to the ship. 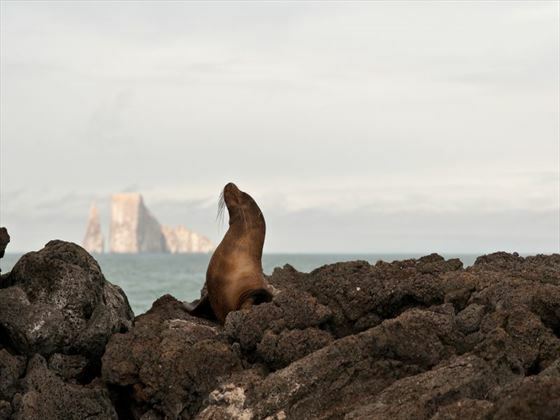 On day 15, you’ll get up close to the amazing wildlife here, including the land iguanas, red and blue-footed boobies, sea lions, colourful fish and sharks on Genovesa Island. You’ll visit Bartolome and Santa Cruz Islands while you’re here and admire the volcanic landscape. Today, step onto the white sand Bachas Beach which is a popular nesting site for sea turtles and flamingos, then fly to Quito for a farewell dinner. Enjoy a leisurely breakfast before transferring to Quito airport for your flight.